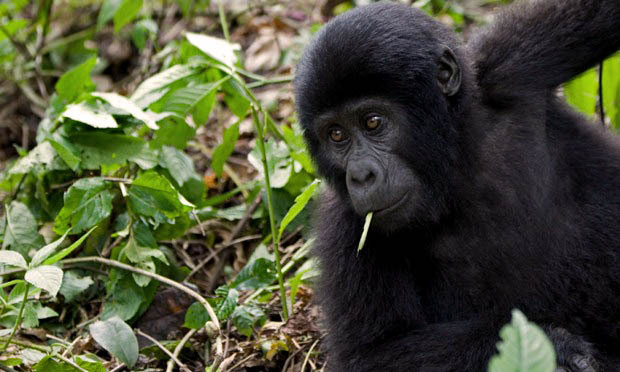 This one day gorilla tour is designed for clients who don’t have much stay in Rwanda but would like a gorilla experience. The Rwanda Safari best applies to visitors who are already in Rwanda. This Gorilla tour takes you to volcanoes national park were the mountain gorilla families are found. Be sure to enjoy your Gorilla tour experience with us. The one day gorilla tracking tour begins very early in the morning and ends late in the night. The safari begins as early as 5:00 am in the morning when you are picked up by our guide for the morning drive to volcanoes national park with the journey taking up to 2 hours from Kigali city. Upon reaching, you will briefly have breakfast before heading out to the park headquarters where the warden will conduct a routine briefing. The explore rwanda tours guide will then lead the travelers to the trekking point where the gorilla tracking experience will begin. Every group of travellers is allocated a gorilla family to track and as such the gorilla tracking tour will last between two to seven hours depending on the movement of the gorillas. After the gorilla tracking tour you will be driven back to your lodge or to the airport for your departure.